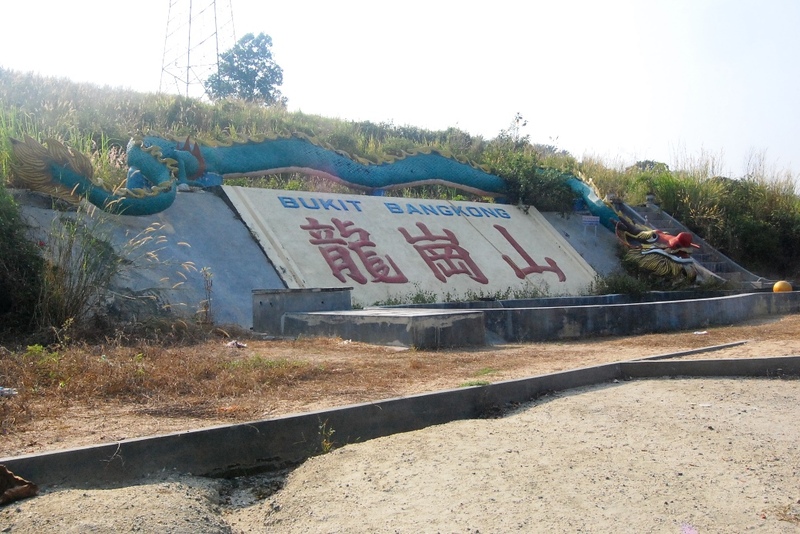 Somewhere north of Ipoh, in the outskirts of Chemor, in a new village called Tanah Hitam lies a quaint hill called Bukit Bangkong. Read about this place from some bloggers and it was described as a local secret for trekking. Decided to check it out and went looking for Tanah Hitam New Village. 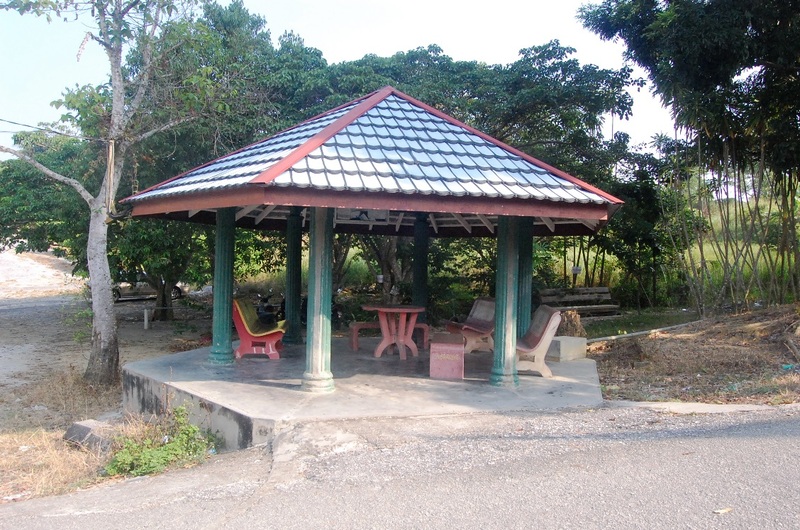 The new village was relatively easy to locate being off the main Chemor-Sg Siput trunk road. Upon reaching the new village, I just drove directly towards the hill at the background of the new village and true enough, I found Bukit Bangkong when I reached the foot of the hill. There was a large car park at the entrance with a rest station. 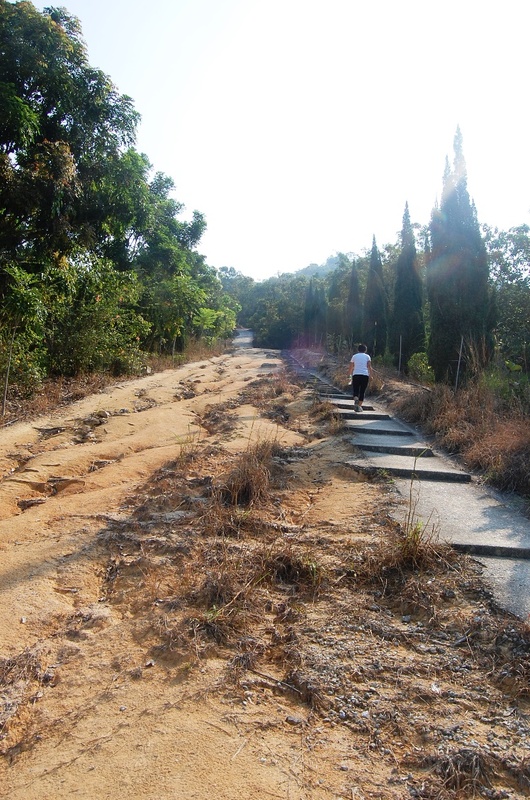 From the entrance, the trek starts off on tarmac which deteriorated into a gravel track accompanied with concrete steps. It was a straight climb upwards in the open without any trees for shade. We started at 10.30 am and it was truly hot. 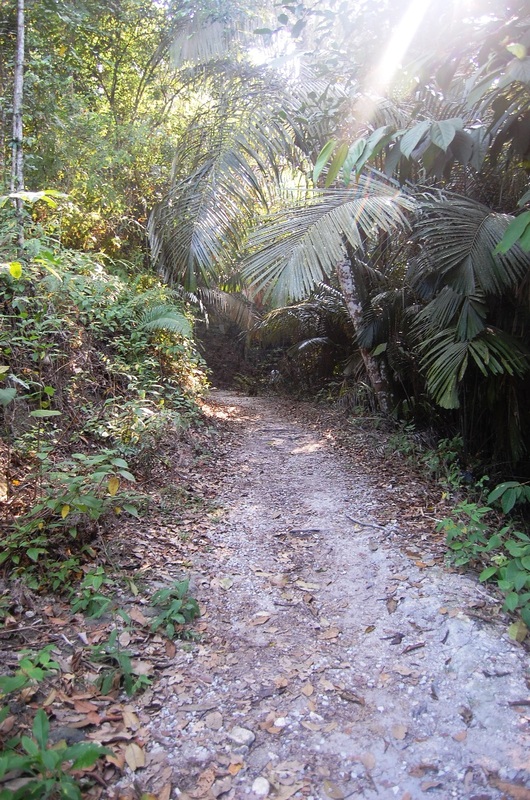 Was truly happy when we encountered a junction with a jungle trail on the right and an open trail on the left which was supposed to be the shorter route. We immediately chose the longer route, at least we get to trek in the shade. Before long, we reached the peak. In total, it was 3 kilometers from the car park on a very gradual and easy terrain. 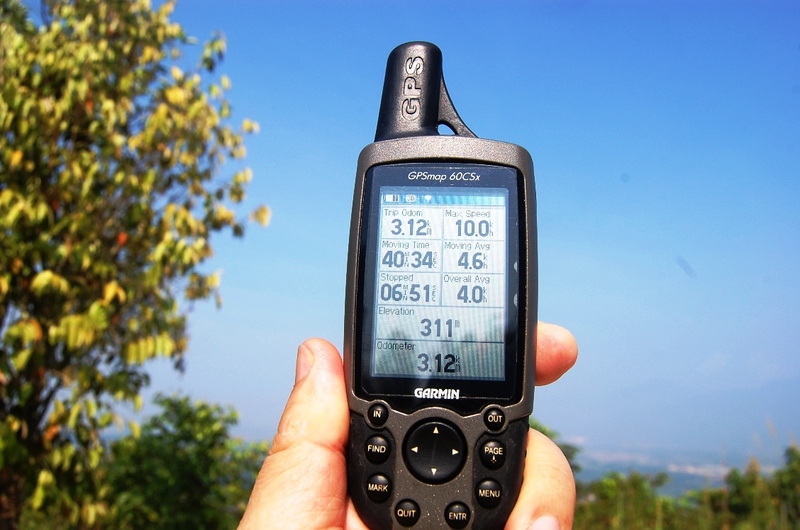 The elevation of Bukit Bangkong as only 311 meters, more of a knoll than a hill. From the peak, we could see Chemor on the Western side. On the Eastern side, could see could peaks which were much higher. 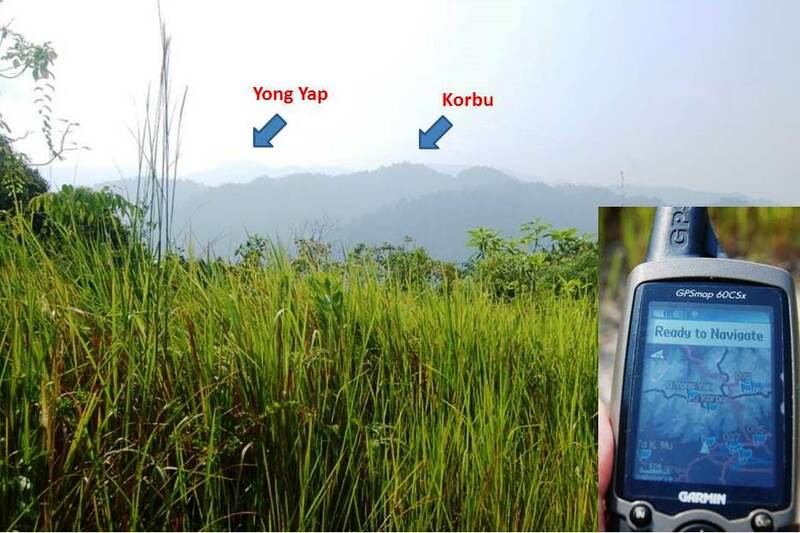 Checked my GPS and found that the peaks were Gunung Yong Yap and Gunung Korbu in the distance. 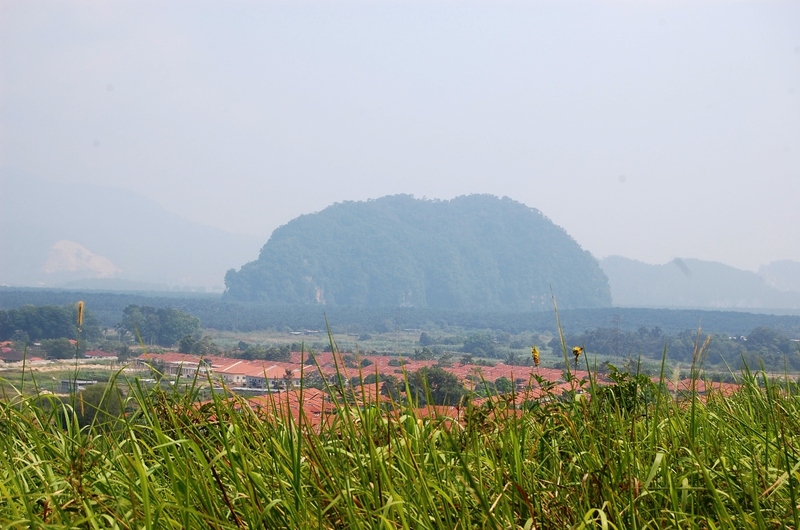 It was a leisurely walk down and we could see limestone hills standing tall over flat plains. 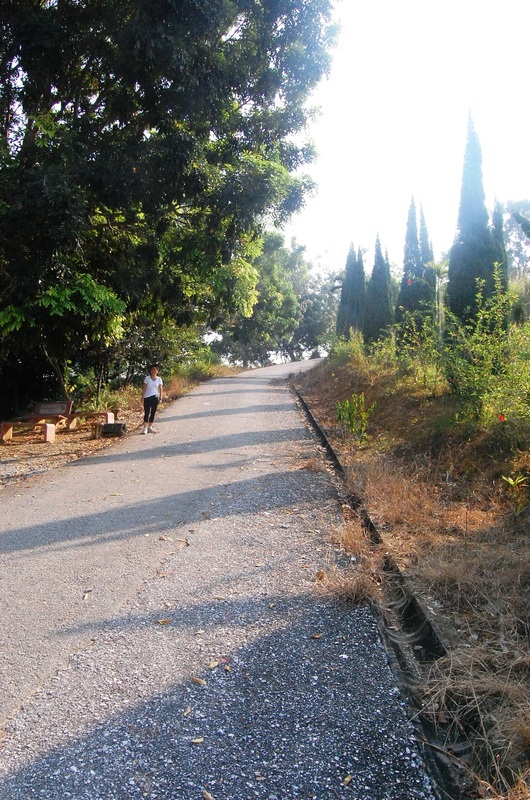 Overall, I would rate Bukit Bangkong as a good place for a workout but not really a place for trekkers. When we reached our car, decided to check out food in Tanah Hitam new village. Quite a number of coffee shops were opened for business but we chose the most crowded. Ordered seafood noodles and iced coffee. Expectation was high since we are near Ipoh. 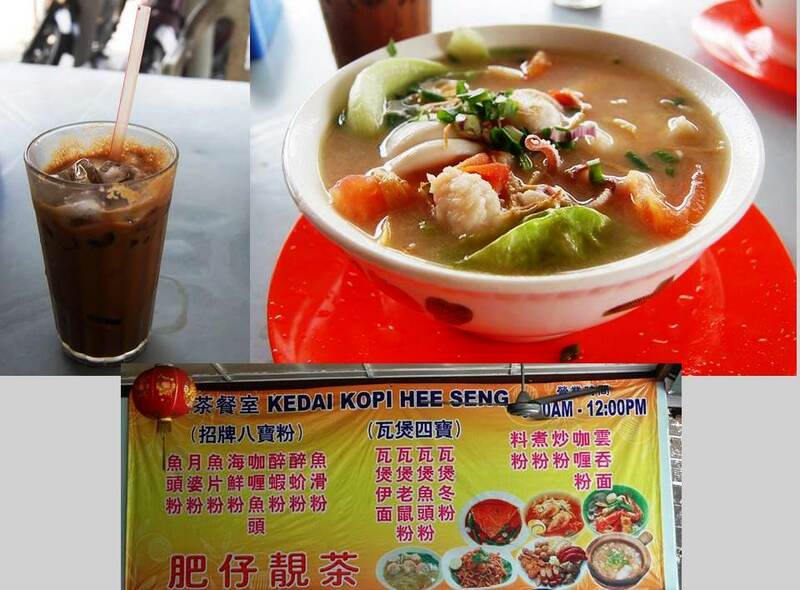 The verdict :- ice coffee was good and the seafood noodles was delicious. Such a fitting treat after a workout. 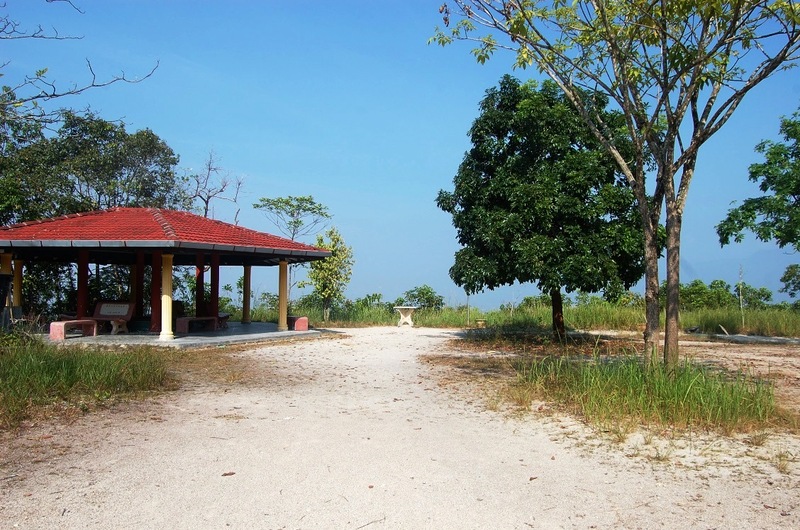 This entry was posted in Hiking, Mountains, Nature, Trekking and tagged Bukit Bangkong, Climbing Bukit Bangkong, hiking, Hiking in Ipoh, outdoor, Place to hike near ipoh, Trek for beginners, Trekking, Trekking in Ipoh. Bookmark the permalink. Nice exercise spot…. T’was a pleasant workout indeed. Hi tough guy, call me if plan camping / hike. 017 9481512 Ali. hye sir may i know what kind of gps map did you use?